I walked into the local Best Buy the other day and spied an alternative future, a display of Micro-SD Chips preloaded with music. The things were so small that if you were to drop one while standing on a lawn you might not find it! I shuddered as I considered what such technology, along with dynamically compressed recordings and mid-fi electronics will portend for the industry. I thought to myself that it will take another generation of geniuses to extract from that format anything approaching the quality of the upsampled CD. 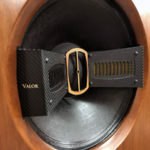 But by then, in order to keep pace with innovation, another concept will be spawned which will keep convenience alive and audiophile sound at bay. I have not yet experienced any portable, drive- or streaming audio-based music source to rival the quality of a high profile player; I currently use Sonos’ coaxial output to an outboard DAC to handle streaming audio and files of my collection on a NAS. There is no doubt that one can obtain pleasing results through these other venues, but the silver disc is still king in my listening room. One of the reasons why is a machine called the Ayon CD-2, a top-loading, tubed, upsampling redbook player. It is the third effort of Gerhard Hirt, an Austrian designer who continues to hone his craft. I have had the privilege of reviewing all but one of his players and have seen consistent improvement in them. 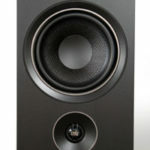 The CD-2 is an outstanding mix of artistry, technological innovation and lush music reproduction. When introducing the CD-3, which preceded the model under review, I noted “I have not found another player which has bettered the CD-3 in terms of putting me in a state of rapture when listening.” I have now found that player – it’s called the Ayon CD-2. A raft of improvements, from the stunning new lid with integrated clamp to the beefier chassis, has resulted in another step forward for the Ayon team. I keep my eyes open regarding public perception of designers whose products I review, and I am seeing increasing positive perception of the Ayon gear. In my experience this is warranted, as not only the players but also the Spirit integrated amp I wrote about are exceptional products. The CD-2 is the replacement for the two-chassis CD-3: think CD-3 with 15% additional advancement. This is no small feat, as the CD-3 was a fine source for my $100K Super-review rig. Take nearly any parameter of the CD-3 and consider the CD-2 to have bested it by no less than 15% perceptually. I heard the two together in my room for an extended period, and both my heart and ears gravitated toward the CD-2. I consider it refined, rich, sweet and potent, a combination beguiling to me. The original CD-1 is being retired to make way for the already released CD-1s. The CD-3 will be phased out later this year or in 2010. There are no plans to revive the twin chassis design. Rather, when the reference quality CD-5 (You can be sure I’ll be setting my sights on that one!) is released it too will have a single chassis, so that will be the look of Ayon for the foreseeable future. I do like its looks, as the black anodized aluminum casing is now a tad wider, thicker and taller. It not only appears more substantial, but also aids in repressing operational vibrations. Other than the redesigned lid, the player looks like a cousin to the transport of the CD-3. In other words, this is a whole new machine, one that is more pleasurable to use than the CD-3. It is a complete reworking, not a “re-warming”. You may have seen plenty of look-alikes in similarly rounded cases, Ayon is not particularly impressed by the clone-ish players which have followed on the heels of their work. So, they’re making it much more difficult through these advancements for others to copy them. Gerhard points out the CD-2 “is a completely new design and has no relation with the previous CD player designs.” Ayon products are brainiac’ed and assembled in Austria, the buyer is getting a calibrated musical piece, not a piece of musical equipment lacking calibration. There is a critical difference. The unit retains the red backlit logo and top mounted controls of previous designs. New are the approximately 1.5” x 3” Chrome grills at the left and right rear of the cover over the tubes to allow them to dissipate what little heat they generate. According to Ayon the unit needs only about 4” (10cm) clearance underneath a shelf, however in principle I would recommend much more clearance. At the back there is a red light which illuminates when the unit is plugged in. It reads, “Phase”. I scratched my head, “Phase!” I wondered how the unit was determining the proper phase, and just how I was supposed to invert the plug when the prongs are sized to only enter oriented one way without the travesty of using a cheater plug! I couldn’t foresee having to return the unit to have its phase reversed. Upon inquiry, it turns out that the North American model’s purpose for the red light is to indicate “On”, not phase. European plugs look similar on both poles, so that one might have the plug inserted such that the player is out of phase. The “Phase” light indicates proper connection of the European player for best performance. The flimsy ball and chuck disc retention system of the previous model is history, in favor of the integral weighted magnetic clamp. I sing the praises of Ayon for making this move, as it makes the player more user-friendly. Now, rather than juggle player parts, then punch multiple buttons to get a song going, all one need do is pick up the integrated lid, place the disc and put the lid on top. The alignment of the internal magnets of the lid and base grasp the disc tightly for playback. I found that approximately once every 20 times when a disc was inserted the magnets were not aligned and did not “grab” each other’s magnetic field to lock. It sounded as a clattering, as though a critical part was loose. In reality, nothing is hurt and a quick lift of the lid to reset the disc fixes it. After a while I wanted to believe that I had developed superior disc clamp placement skills, but I know better. Just when I think I’ve got it down perfectly, I get a “rattler”. Another quibble is the occasional skittering of a slightly warped disc. It does not take much warping for a disc to skitter its edges rapidly while spinning in the CD-2, as the gap between the seated disc and transport disc’s “floor” is very small. It only happened with two or three discs of several dozens played, and I never found the sound to be loud enough to disrupt my music. Only with very exceptionally quiet passages of music would it be discernible (Remember, I have a custom listening room with about an 8dB drop in ambient noise; In a normal living environment this might not be heard at all). I rate this about a 1 on a scale of 1 to 10 as a concern. Initialization is swift and smooth, the player is raring to go before you can get back to your seat. The Ayon is equipped with the Stream Unlimited – Vienna transport made by the Austrian company Stream Unlimited, which is also the transport of choice for the Ayon CDP CD07 and CD-1S. A spinoff of Phillips, Stream Unlimited’s engineers includes some who were designers of the original CD format-standard. Stream Unlimited also collaborated on the CD-drive servo board. Also adding to the upgrades, the top plate of the chassis was thickened to add extra stability to the lid/CD holder mechanism. There is not a world of difference between the CD-2 and the CD-3 when it comes to the performance. 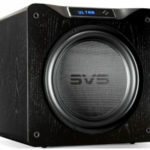 Charlie Harrison of Ayon Audio USA, the U.S. distributor for Ayon, indicated that they would be similar, and he was right. The CD-3 seemed to my ears a bit more mellow and indistinct. The CD-2 has been tuned to be a touch tighter and has superior detail resolution, but not by much. Considering that the two-chassis CD-3 was the top of the line previously, it’s a marvelous accomplishment for Ayon to be able to reduce the price by approximately $2,000 and still come up with performance advancement. As I indicated in my previously published Audio Blast, the CD-2 in the tradition of Ayon players, is not an attempt to extract every last bit of warm, root beer-ish (sweet, dark and goes down smooth) flavor of tube performance from a player. I would liken the experience of the CD-2 more to Mountain Dew, as a sweet, highly charged, vibrant brew. You can get your buzz of detail to your limit with the player, or you can pair it with mellow electronics to tone it down. Two amps which I used extensively with the Ayon each had their own personality akin to the aforementioned beverages. 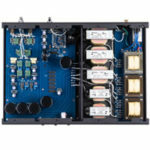 The Cambridge Audio Azur 840W amp is like a shot of liquid adrenaline, a highly charged affair with copious power and scintillating clarity. Conversely, the Moscode 402Au, by comparison, is a root beer float. The Moscode lays the tube vibe all over the music, suppressing a bit of detail to add bloom to the music. When paired with the Ayon, each shone in its own way. One of the best aspects of the CD-2 is that it does not flood the musical experience with tube warmth. One can bring whatever warmth they wish to the system in the amp and speakers. The Ayon players all exhibit a lovely expansiveness in which the instruments extend naturally. I pulled out Michael McDonald’s Motown disc and relived “Heard it Through the Grapevine” and “Ain’t Nothing Like the Real Thing”. If I wanted to flood the sound with a “heavier” nostalgic feel, the Moscode 402Au thickened Michael’s voice and fattened the bass. Conversely, the Azur amps had the speakers chasing the myriad of stereophonic background effects from left to right with the lightness of a fly darting to and fro. I find the Ayon players to be balanced very well between the plumpness of tubes and the precision of solid-state. The CD-2 dances on an even thinner tightrope between those two extremes than its siblings, which makes its balancing act all the more captivating.